Puppies from a puppy mill – an expensive bargain? Vets and breeders agree: the majority of the imported ‘puppy mill puppies’ have been raised under terrible conditions and are often ill. However, to date there have been no reliable studies that can give verifiable data on the miserable health of these animals and the danger they pose for the spread of communicable diseases. This data is now being collected for a doctoral thesis at the University of Leipzig. Prof. Uwe Truyen is supervising the thesis, which is being written at the Institute for Animal Hygiene and Public Veterinary Medicine. Every year an unknown number of puppies are imported into Germany from neighbouring states. 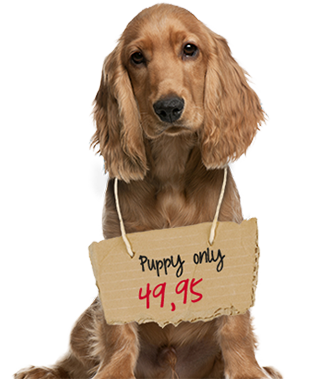 Imported puppies are often considerably cheaper than those bred in Germany. But the low purchase price is misleading. These animals are often ill and their new owners often have to pay several times the local breeder prices in the way of costs for visits to the veterinarian. There are many reasons for the animals’ poor state of health: many of the backyard breeders simply try to produce large quantities of puppies at the lowest possible cost. The parent animals are often not looked after, the living conditions are dire, both in terms of hygiene and from an ethological standpoint. The puppies are usually not properly wormed or inoculated. The results of the poor conditions under which these animals are held and the poor or non-existent medical care are puppies that have no protection against infectious diseases and are poorly socialised. Veterinarians, breeders, the VDH and animal welfare organisations have been aware of this problem for long time and have been doing what they can to raise awareness for this dirty form of puppy trade. Up until now however there has not been any conclusive data that can be used for effective public relations work. The VDH, the centralised pet registry ‘Tasso e.V.’, the Coalition Against the Abuse of Animals and veterinary representatives have decided to carry out a survey. The three-part project will generate data on the health of imported puppies compared to puppies from registered breeders. In the first part, puppy owners visiting veterinary practices will be asked to fill out a questionnaire. In the second part the medical history and the presumed origin of animals in animal shelters will be determined. The third part of the study is being supported by the gkf. Within the scope of a doctoral thesis, veterinarians will be questioned about their experiences. The main focus will be on the origin of the puppies and whether the animals suffer from infections, in particular canine distemper virus, canine parvovirus, canine adenovirus or rabies. The study will be mainly carried out in large clinics and veterinary practices in large urban areas because of the large number of patients that can be expected there. The control group consists of puppies of the same age that stem form VDH controlled breeders and that go to the same veterinary practices. The hope is that in this way it will be possible to get data on puppies that have been raised under mass breeding conditions and which have been smuggled into Germany in order to avoid compliance with existing animal health rules. As a rule, these animals are neither correctly inoculated nor marked and identified and do not appear in any statistics. Parallel to the questionnaire, the goal is also to get data on the illegal puppy trade and document the volumes being traded. One method of determining the routes of illegally imported dogs is the animal documentation programme EU TRACES. Furthermore, by working in cooperation with vaccine companies and the Permanent Commission on Veterinary Vaccines in the German Association of Practising Veterinary Surgeons, it is possible to gather data on the spread of infections that are not covered by animal health laws. Title of the research project: Investigations into the Frequency of Selected Infectious Diseases in So-Called Puppy Mill Puppies. The GFK (Society for the Support of Canine Research) was founded in 1994 with the goal of providing financial support for research aimed at improving the well being of dogs. To date the society has provided a total of 2 million euros for such research projects. The money comes from membership fees and donations. The majority of the projects have practical relevance; the results of the research are of direct benefit to the dogs and their owners.